• The 14th century Persian book “Jaamehol-Tawarikh” includes comments about the practice of identifying persons from their fingerprints. • In 1684 Dr. Nehemiah Grew published friction ridge skin observations in “Philosophical Transactions of the Royal Society of London” paper. • Dutch anatomist Govard Bidloo’s 1685 book, “Anatomy of the Human Body” also described friction ridge skin details. • In 1686, Marcello Malpighi, an anatomy professor at the University of Bologna, noted fingerprint ridges, spirals and loops in his treatise. In 1788, German anatomist and doctor J. C. A. Mayer wrote “Anatomical Copper-plates with Appropriate Explanations” containing drawings of friction ridge skin patterns, noting that “Although the arrangement of skin ridges is never duplicated in two persons, nevertheless the similarities are closer among some individuals. Mayer was the first to declare that friction ridge skin is unique. By the mid-1800s, with the rapid growth of cities due to the industrial revolution and more productive farming, there was a formally recognized need to identify people. Merchants and authorities were faced with increasingly larger and more mobile populations and could no longer rely solely on their own experiences and local knowledge. Influenced by the writings of Jeremy Bentham and other Utilitarian thinkers, the courts of this period began to codify concepts of justice that endure with us to this day. Most notably, justice systems sought to treat first time offenders more leniently and repeat offenders more harshly. This created a need for a formal system that recorded offenses along with measured identity traits of the offender. The first of two approaches was the Bertillon system of measuring various body dimensions, which originated in France. These measurements were written on cards that could be sorted by height, arm length or any other parameter. This field was called anthropometries. True biometric systems began to emerge in the latter half of the twentieth century, coinciding with the emergence of computer systems. The nascent field experienced an explosion of activity in the 1990s and began to surface in everyday applications in the early 2000s. In “A Thumb-Print and What Came of It,” one of the stories serialized in Mark Twain’s “Life on the Mississippi” the author wrote about fingerprints, and described a process for taking them. In 1894’s “The Tragedy of Pudd’nhead Wilson”, Twain again mentions the use of fingerprints for identification. In the story, a man on trial calls on the comparison of his fingerprints to those left at the crime scene to prove his innocence. In July 1901 the Fingerprint Branch at New Scotland Yard (Metropolitan Police) was created using the Henry System of Fingerprint Classification. The technology uses the subcutaneous blood vessel pattern to achieve recognition. The European Biometrics Forum is an independent European organisation supported by the European Commission whose overall vision is to establish the European Union as the World Leader in Biometrics Excellence by addressing barriers to adoption and fragmentation in the marketplace. The forum also acts as the driving force for coordination, support and strengthening of the national bodies. In 2004, Connecticut, Rhode Island and California established statewide palm print databases that allow law enforcement agencies in each state to submit unidentified latent palm prints to be searched against each other’s database of known offenders. The Face Recognition Grand Challenge (FRGC) is a US Government-sponsored challenge problem posed to develop algorithms to improve specific identified areas of interest in face recognition. Participating researchers analyze the provided data, try to solve the problem, and then reconvene to discuss various approaches and their results – an undertaking that is driving technology improvement. Participation in this challenge demonstrates an expansive breadth of knowledge and interest in this biometric modality. At the 2005 Biometrics Consortium conference, Sarnoff Corporation (now SRI International) demonstrated Iris on the Move, a culmination of research and prototype systems sponsored by the Intelligence Technology Innovation Center (ITIC), and previously by the Defense Advanced Research Projects Agency (DARPA). The system enables the collection of iris images from individuals walking through a portal. Finger image and facial quality measurement algorithms and related toolset development was finalized. An iris quality measurement algorithm was also developed. The FBI and Department of Defense also started working on next generation databases designed to include iris, face and palm data, in addition to fingerprint records. A fingerprint from evidence collected at the believed 9/11 planning location was positively matched to a GITMO detainee. Other fingerprints were identified from items seized at other locations associated with 9/11. Along with DNA, the CIA used facial recognition technology to identify the remains of Osama bin Laden with 95 percent certainty. Touch ID is a fingerprint recognition feature, designed and released by Apple Inc., that was made available on the iPhone 5S, the iPhone 6 and iPhone 6 Plus, the iPad Air 2, and the iPad Mini 3. Touch ID is heavily integrated into iOS devices, allowing users to unlock their device, as well as make purchases in the various Apple digital media stores (iTunes Store, the App Store, iBookstore), and to authenticate Apple Pay online or in apps. On announcing the feature, Apple made it clear that the fingerprint information is stored locally in a secure location on the Apple A7 (in iPhone 5S and iPad mini 3 (APL0698), A8 (in iPhone 6 and iPhone 6 Plus), or A8X (in iPad Air 2) chip, rather than being stored remotely on Apple servers or in iCloud, making it very difficult for external access. Bensmina Amid Prod liked this on Facebook. 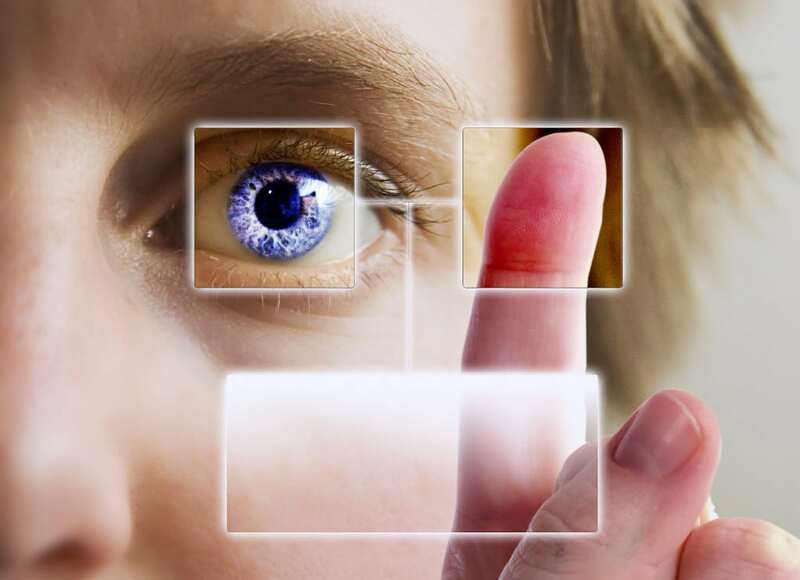 RT @BiometricUpdate: History of #biometrics: http://t.co/KvfH7oGs4l –> fresh updates to this article!